We’ve been somewhat silent this past month, but we’ve got plenty of compelling reasons. We promise. Both Chelsea and I have had our hands full with the kind of work that’s fulfilling and exhausting all at once. Avourneen is prepping for our next milestone, and it’s going to be a big one. Over the course of the past month, we’ve wrapped up the recording process for our very first EP titled “Beloved,” an eight-track, independent release set to hit on Oct. 19. Over the course of the past week, the progress on that project has come at a breakneck pace. The album, recorded at Macy Sound Studios under the thoughtful and brilliant guidance of producer Tom Payetta, is mixed after four months’ worth of sessions. Just yesterday, we received digital copies of the mastered final project. In three days, I’m heading to the printer to make final plans for production. With help from good friends like photojournalist Marla Keown and mentalist Professor Phelyx, we’ve formalized art for the album and promotional posters. It’s been a heady and time-consuming process, but one that we know will pay off in the weeks to come. 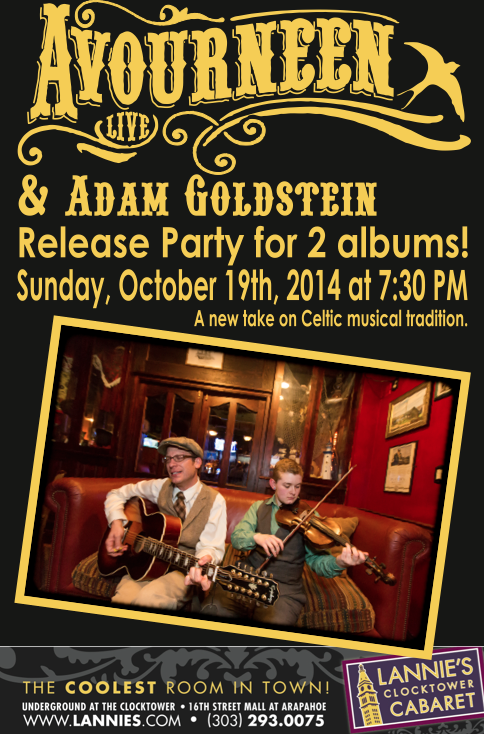 Specifically, we’re counting the days before our big CD release show at Lannie’s Clocktower Cabaret planned for Sunday, Oct. 19. The show will be a dual release soiree for “Beloved” and my first solo EP, “Old Love Songs and Other Fixations.” Be assured, we’re planning for a big party, complete with special guests, unexpected covers and a little performance art thrown in for good measure. If you haven’t looked into it, there are still tickets available here. Better to reserve your spot now – we’re intent on selling the place out. To achieve that goal, we’ll be taking to the web, the airwaves and the radio as much as possible in the next four weeks to make sure none of you forget about the show. We take the stage in 32 days and counting, so set your timers now! In the meantime, you can catch us TONIGHT at Katie Mullen’s Restaurant and Bar at 1550 Court Place. Come say hello!